HomeSportsWith Bob back, Bryans win in Australia; a lesson for Murray? January 16, 2019 Sports Comments Off on With Bob back, Bryans win in Australia; a lesson for Murray? 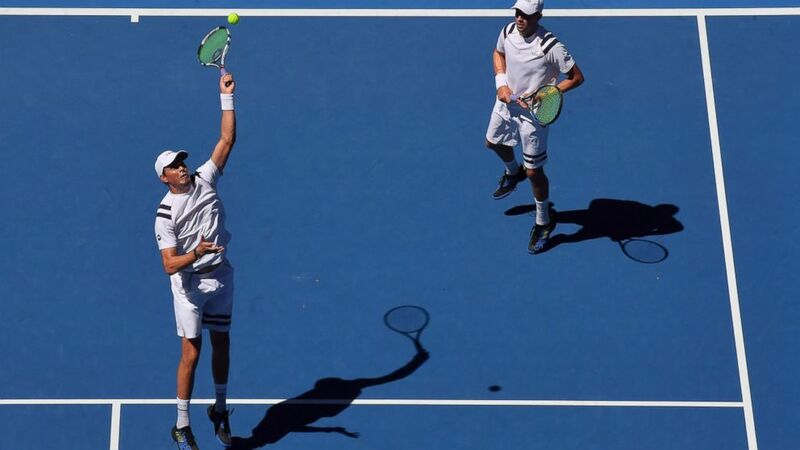 Bob Bryan was four months removed from hip replacement surgery when he joined his twin, Mike, for practice sessions in December in the hopes of reuniting the most successful men’s doubles team of tennis‘ professional era. “He’s been watching me like a hawk, asking me how I’m feeling after matches, after practices, where I’m at. He’s just trying to gauge how long it would take him, if this procedure is an option,” Bob said about Murray, a three-time major champion who said he will decide soon whether to try surgery for his own painful hip. At first, he tried to get by with rehabilitation and remedies such as stem-cell injections. When it was clear that wouldn’t solve the issue, he went under the knife in early August, getting what he said was hip resurfacing with a metal implant. It sure seemed to pay off Wednesday, and Bob figured that’s a good sign for Murray. “Look, no one’s ever come back with this surgery on the singles court. I’m showing that it can be done in doubles,” Bob said.